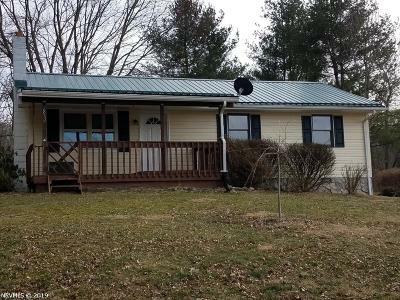 Darling updated ranch style home on a level lot. Auburn School District. Enjoy summer afternoons relaxing on the large covered front porch. The 12 x 20 storage building has heat, drywall and updated flooring. The updates to the house include new metal roof, new siding, shutters, granite counters, cabinets, windows and new kitchen and bathroom flooring just to name a few. The remainder of the house has hardwood flooring. Centrally located between Radford, Christiansburg and Blacksburg. This home is in move in condition and is just waiting on your change of address!! Directions: Radford Rd/Route 11 To Walton Rd. Right On Spaulding. Left On Switchback. Left On Spring House. Home On The Left. From Blacksburg Peppers Ferry Rd To Left On Vicker Switch. Left On Switchback Then Right On Spring House.